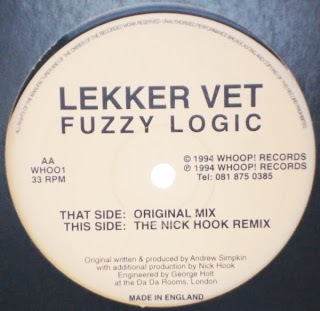 The first release on UK progressive house label Whoop!, by owner Andrew Simpkin. Once I'd fallen for this track, I rang him up and he sent me out every release for the next couple of years - but I don't think there was a single one that grabbed me. As for "Fuzzy Logic"? The tune of 1994 for me. Yes, it was progressive house and a bit soft, but I liked it. Still do.